I used to think I was doing myself some good whenever I drove with my windows down. But, really, what good is driving with your windows down when the air you’re breathing is extra polluted, especially at traffic lights. A new study published in Atmospheric Environment reveals that drivers are exposed to the most pollution at stop lights. There's a high level of particle number concentrations (PNC) at traffic lights — basically, you’re sitting in a thick cloud of pollution at traffic lights, and you’re only making it worse for yourself if your windows are down. The study, conducted by researchers at the University of Surrey, revealed that while just about 2 percent of a driver’s time is spent at stops, that period amounts for 25 percent of the pollution they’re exposed to. According to a press release from the University of Surrey, the study found that the concentration of peak particles was 29 times higher at traffic lights than it was in more free-flowing driving conditions. Apparently the decelerating and then revving up that takes place at traffic lights, along with the close proximity of cars at these stops, makes for an increase in exposure of car emissions. Air pollution was recently placed in the top ten health risks faced by human beings globally, with the World Health Organization linking air pollution to seven million premature deaths every year. The study followed drivers with variety of car settings around on the same route while monitoring the levels of pollution they were exposed to for the trip. The study found that drivers were least exposed to outside PNC during “free-flow traffic conditions,” basically cruising along, with their fans and heating switch off. They were exposed to the most PNC at “delay conditions,” (stops) when their fans were on at 25 percent and their heating was on at 50 percent. Kumar suggests that drivers protect themselves by rolling up their windows, shutting off their fans (which draw in air from outside), and increasing the distance between them and the car in front of them at stops. My driver’s ed instructor taught us to stop a car-length away from the car in front of us, and it seems his advice might be useful for more than avoiding chain reaction rear-endings. However, this advice doesn’t do much to aid bike riders that share roads with cars and pedestrians crossing at stop lights, because they can’t simply roll up a window and close a vent. For them, Kumar recommended that pedestrians consider routes that don’t cross paths with traffic stops very often. 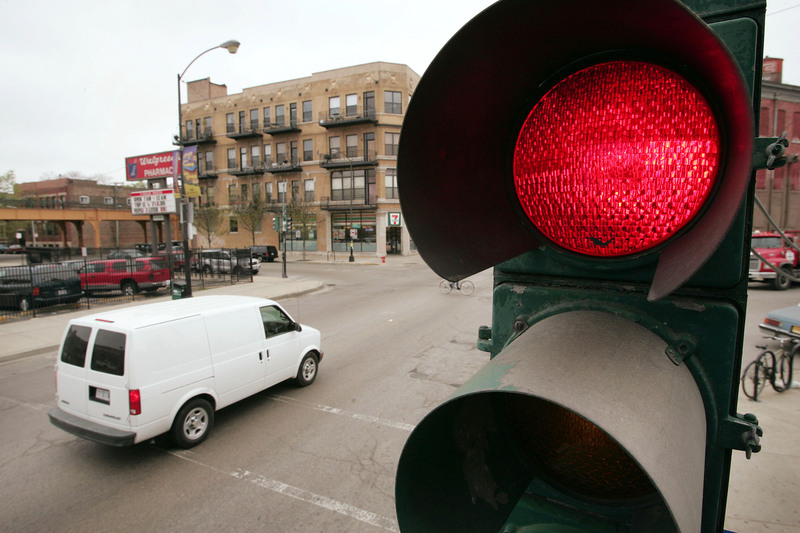 He also suggested that transport agencies could coordinate traffic signals to reduce waiting times at stoplights or offer alternatives, such as overpasses.